My first rule for Real Food newbies is so simple. Become a label nazi. The only thing I ask is this: that you start looking at the ingredients label of everything (and I mean everything) that you buy or eat. You’d think it’d be easy. But sometimes we self-delude. Or perhaps we just don’t know what all the ingredients on a label actually are, so they don’t scare us (or disgust us) like they should. Well, I thought you might enjoy a series of posts in which I examine the labels of some of the more popular “healthy” foods out there. In that spirit, I’m starting a weekly Decoding Labels post. In this series, I’ll highlight deceptive labeling practices, hidden ingredients, and more! If you’ve got a particular label pet-peeve you’d like me to share, please feel free to email me with your idea. This week’s villain? Better Than Bouillon. Better Than Bouillon is marketed as an MSG-free, better-tasting alternative to bouillon. You can use it as a replacement for bouillon in recipes. At first glance, the product looks somewhat promising. After all, it’s made from real meat. Surely that’s a plus right there? It sounds like it’s just a concentrated form of broth. It doesn’t have MSG! Surely that’s a plus, too? Maybe if you’re trying to eat less processed foods, you’d see this label and think that perhaps this was a healthier alternative to bouillon. How do I know that? Because hydrolyzed soy protein is an ingredient that always contains MSG! (source) Because the manufacturer didn’t add an ingredient called “mono-sodium glutamate,” they can “truthfully” claim “No MSG added” on their label. Yet, nothing is stopping them from adding ingredients that contain MSG. In that case, the manufacturer only has to list the name of the actual ingredient added, not the ingredients within those ingredients. 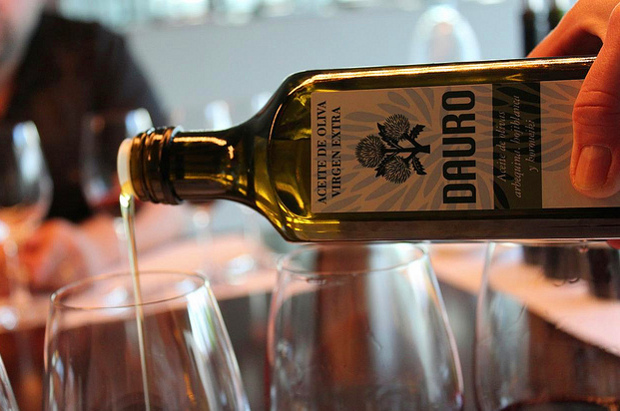 Because of this little-known fact, another ingredient on this label should give us pause: flavoring. MSG often hides in “flavoring,” “natural flavoring,” or “spices.” (source) Furthermore, the process used to create the dried whey produces — you guessed it — MSG! Aside from all the MSG-containing and complimenting ingredients, the rest of the label is spotty as well. Corn syrup solids? Hello, highly-refined, genetically-engineered corn! Sugar? While this may seem harmless enough, chances are good that even this ingredient is made from genetically-engineered sugar beets. These highly-processed ingredients have no place in the Real Food kitchen. Homemade broth, of course! Want to know how bouillon came to usurp the traditional, nutrient-rich bone broth? Read America Needs More Brothals. Making homemade broth is easy! Check out this post on how to make beef broth. I just went to the refrigerator to look at my own jars of Better Than Bouillon and my ingredient list is completely different than your list. My jar of beef BTB contains: Roasted Beef and Natural Juices, Maltodextrin, Salt, Cane Sugar, Beef Stock, Beef Fat, Natural Flavor, Potato Starch, Celery Concentrate, Dried Garlic, Dried Onion, Carmel Color. She did say that MSF often hides as “natural flavoring”, and my inclination is to suspect that “natural flavor” could possibly be from “soy protein”….? One wonders just what “carmel color” is as well. Paint? (ha) or just more MSG? “Maltodextrin” — this food additive is almost always made from genetically-modified corn. It is a thickening agent that is sweet, but has fewer calories than sugar. It’s not *necessarily* an evil-bad ingredient, but it often is. “Natural flavor” — often, this contains MSG. But again, sometimes it doesn’t. “Celery concentrate” — this flavorful additive is often added instead of MSG, so it’s likely there is little to no hidden MSG in this product. “Caramel color” — This may be the most worrisome ingredient here. Although it is “naturally” derived, this food coloring can be made a number of ways (most involving genetically-engineered corn). The process by which it’s created can leave residual ammonium and sulfites. Studies have been done on the safety of caramel color that show it interferes with the metabolism of B6, reduces white blood cell count, softens feces, and has a carcinogenic effect. We have serious soy allergies so I am pretty zealous about labels, but always wanting to learn more. I agree with a post below about avoiding anything with a label. It’s a journey I guess. I’ve come far, but still have a long way to go. – Would this be the case even if it says ‘organic’? If the maltodextrin is labeled “organic maltodextrin,” then it can’t be GMO. That said, an organic product with just “maltodextrin” in it *can* have maltodextrin in it’s that from GMO corn. That’s because the organic certification doesn’t mean *everything* in the product is certified organic, just that a certain percentage of the ingredients are. That’s the organic version. The regular version list is not as good. And unfortunately the organic version still has caramel coloring in it. come on. .tell the whole truth.. let’s have the scientific evidence about amounts used.. you know. the percentages to the whole.. and what it actually takes to be a problem. This is an occasional ingredient.. and the percentage to the total of the dish is negligible.. If you are not allergic to any of these.. use them as you wish.. it is OUR choice.. based on the scientific information that is abundant.. Mellow out.. just a little and consider those that may just not be able to afford the things that you can. This makes people feel bad about themselves and what they are forced to feed their families. That’s the point of the article Jim, to inform people so that we can make a choice about what we eat. Are you aware that this is not the only product on the market that contains MSG? Condiments, salad dressings, most all processed prepared foods and most all processed fast food, spices etc. et al, ad nauseum are often consumed on a daily basis sometimes three meals a day and snacks! It’s your choice and your life to live as you wish, eat what you want the same as it’s my right to make informed choices, to do some research and put some effort into maintaining a healthy diet no matter what my budget is. I’m a single mom on a tight budget. Since I cut out junk food, fast food, processed convenience foods and switched them out for whole foods to cook, organic (including organic processed foods like condiments, salad dressings, mac n’ cheese, cereal, beans, pasta) and non-GMO foods, not only are we healthier, but my food budget is LESS than it was two years ago. Junk comes at a cost. I never thought to look for the “disodium inosinate and guanylate.” Salt content alone would have that crap back on the shelf. My husband had a mini-stroke in May of last year, at the age of 40. He was healthy (looking) and trim, and towing our youngins on the bike at time. Since that moment, excess sodium has been our enemy since his blood pressure is an inherited trait. Salt and MSG travel together, and one often “replaces” the other. I actually saw “lower sodium than table salt!” advertised on a jar of Accent. You see the reverse as well. Salt gets cranked up to replace the MSG and the label brags about it. Excellent post! I will look forward to the whole series! Label-reading know-how is a skill that many people don’t have. I will be sharing this with others. Awesome idea – I’ll look forward to more of these! Finally …I have being scanning lables for months …I understand some ….like Fructose, but could do with an easy guide to avoid all the things that are hidden under different names …Thanks .. I also went straight to the fridge because I would never buy anything with soy protein in it. I would be so interested to know if mine has msg and soy protein in it – I have not seen any negative reactions to it in my soy allergic children that would lead me to believe that there is any msg or soy in it. “Yeast extract” always contains MSG. So, yes, yours has MSG in it. “Natural flavor” almost always contains MSG, but may not. “Maltodextrin” is almost always derived from GMO corn. It is nearly impossible NOT to have soy in your diet. Soy Lecithin is in EVERYTHING> It is what binds liquid and fats. It’s in Cascadian Farms products to organic at Whole Foods. I cannot eat anything processed because of soy. A specialist discovered my soy allergy at age 40. I have cut out soy almost 90% and there is a huge difference in my health. It is VERY difficult as I cannot eat out and have to take my own food EVERYWHERE! Brilliant! Labels have become a convenient place for one last lie to deceive the consumer. You’re awesome, thank you so much for sharing….looking forward to learning more. Just wondering what packaged/store bought is the best choice? I agree that homemade is best and I try to use it as much as possible but sometimes “needs must” and I need a stand-by for emergencies. Right now my home made stock is gone as my dad was sick and on a bland diet. He said he didn’t like broth but I gave him some of my beef stock and he loved it! So, I gave all of it to him to help him get his strength back. Just wondering what others have used off the shelf? As we steam all our vegetables, we quite often boil down the ‘veg water’ and keep it in the freezer for emergencies when we are low on homemade meat broth. Works really well – with lots of flavor – in soups. What a great idea! I just threw out a bunch of steamed asparagus water last night. I’d thought about keeping all that steam water, but it seemed too much. Never thought of boiling it down! DUH! Just curious – is it a good idea to reuse vegetable cooking water? Or are some of the anti-nutrients from the raw veggies, like broccoli/cabbage/greens that are best not eaten raw, still present in the cooking water? Most of the anti-nutrients are broken down in the heat of cooking (though not all). The biggest concern with re-using vegetable cooking water is the potential for excess nitrates to collect, although plants grown in a rich organic soil will be less likely to have this problem than conventionally grown produce (which will have been inundated with nitrogen-rich fertilizers). A number of vitamins do leech out of the veggie and into the water, so re-using the water is a good way to get those vitamins. So, I guess my answer is that it depends! Yum! Love me some bone broth. It’s not hard to make. Anyone who says they dont have time should slow cook it in a crock pot. So good for you, without the hidden MSG and GMOs. What annoys me is the BS they put on the FRONT of the label, not just the deceit in the ingredients. EX: Hunts “traditional style” tomato sauce. 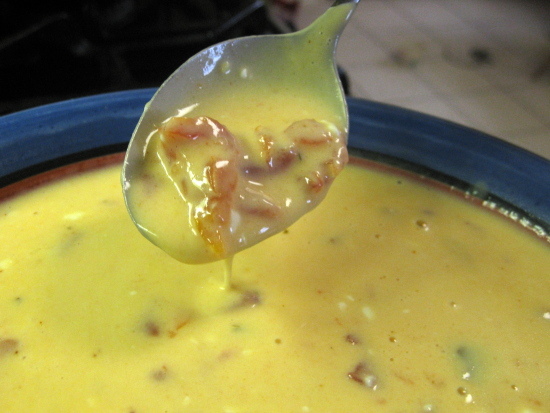 Ingredients then state SOYBEAN oil is used (in place of Olive Oil). Any decent Italian Chef would have a seizure if they saw that. “MAMA MIA, why is BIODIESEL being used in tomato sauce?” Grr, argh! Luckily I have never been a bouillon user. I have plenty of other areas that I could clean up my act though… looking forward to this series. Seriously frustrated! I need to print that list that has all the names used for products I am avoiding! Elisabeth Bartlett Hartline — Exactly! The truth is almost always on the back label, although even there it can still be tricky. I just figured this out about a month ago. Not sure what sparked my memory of what Hydrolized Soy Protein was, but I looked it up and stopped buying BTB. I also took back 2 jars I had sitting on the shelf. Won’t touch the stuff. The thing that bugs me is that it is stocked at my food co-op. So people, like me, think it’s healthy but really it’s not. Exactly my point! The whole label situation is infuriating. I’m hoping this series of posts will help educate us all so we can make better food choices. I love that you are doing this! Thank you. I actually did not have that disodium…..whatever it was….on my MSG avoid list….will be adding it! Great advice – thanks for the sleuthing! Thanks for doing this one. I have health issues related to consuming MSG yet so often have to figure it out the hard way. I believe this one is lurking in my fridge as I type. Just bought it last week without really reading the back. I just trusted the no MSG lable. Grrrr! you can trust the label on this one. no ADDED msg means that there is un-added msg. otherwise they would proudly and unequivocally state NO MSG. Thanks for doing this series. Great idea!! Excellent post! I used to buy this stuff… and I could swear the ingredient list was super clean! Did it change? If now, wow, was I mistaken. Well, they have something like 20 different flavors/varieties (low-fat, no-fat, low-sodium, organic, etc. for chicken, beef, ham, lobster and various veggies). So, it’s possible that it was a bit cleaner. A couple comments above asked about their specific variety, but even those had stuff like “maltodextrin” or “yeast extract” in them. What a great idea for a blog series! Thanks for the info. Look forward to more of the “Decoding Labels” series. THAN YOU…almost purchased this very thing yesterday, then I read the label & back on the shelf it went! Made my own chicken stock instead. Thanks for the info. My daughter-in-law made a wonderful soup and had added Better than Bullion (Beef) because she had no beef broth. Within an hour we were all feeling a bit under the weather. She, more than my son and I. After doing some sleuthing, we discovered we had eaten everything before except the bullion–we read the label and discovered at least three unknowns, which are probably what made us ill. Thank you so much for posting this article. Last week I made some soup with BTB. It made me really sick. I didn’t understand why since it was organic and MSG free. I have a gluten allergy. I didn’t see that in the ingredients. Your article has been very helpful. Too bad I now have to throw away 3 jars of it. Before you throw food away, try taking it back to the store! So long as the products are unopened, most supermarkets will take the food back and give you credit for them. (And, even if they’re opened, they may *still* give you credit for them if they were in any way spoiled or deficient.) No receipts necessary. This explains the headache I had this week. It is frustrating me to no end that organic products can contain the garbage I seriously don’t want to feed my family. I would love to say that I have a constant supply of homemade broth in my freezer, but sometimes it runs out, and I love to have the spoon of what I thought was a good substitute. Thanks for sharing. One tip I wish I’d thought of earlier RE homemade broth: BUY BONES. No need to cook a ton of chickens or bone-in roasts (although they certainly help!). Just ask the butcher for the bones from their boneless, skinless organic chicken. I’ve bought them for as little as $.10/lb in some places. You are lucky to have organic meats/bones available from your local butcher. No such thing where I live (smack in the middle of industrial agriculture country.) I make broth whenever I have bones/veggie leftovers but sometimes products such as organic BTB are the lesser of the evils. So does this mean that regular powdered milk may have MSG? The ingredients listed on the box are “nonfat dry milk, Vit A, Vit D3.” I use 3 Tablespoons for making bread, but would want to eliminate it if it has MSG. YES! Nonfat dry milk almost always contains free glutamic acid. Good post. I recently read the ingredients of ALL of the broth in the store as I really needed something. It was depressing. I settled on the new one you see on TV – the ‘flavor enhancer’ in pouches. It had the fewest number of ingredients anyway. Great post, and I’m really looking forward to more! I learned a few years ago that the word “Added” usually meant it was in the product, but just not on the ingredient list. Oscar Meyer came out with hot dogs that have “No Added Nitrates Or Nitrites!” Then, in very tiny letters, something like “other than those naturally occuring in celery salt”). So I got a migraine for 3 days. And Oscar Meyer got an earful the next week. Now I don’t eat processed foods anyway, but it definitely taught me a lesson. This article is slightly misleading. I am NOT saying this product is healthy, but you picture the organic Better Than Boullion but then list the ingredients and discuss the regular better than boullion. The organic version has these ingredients: Chicken Meat and Natural Juices*, Salt, Cane Sugar*, Maltodextrin*, Natural Flavor, Dried Onion*, Potato Starch*, Dried Garlic*, Turmeric* and Spice Extractives*. I’m not the best at following recipes. Often, I experiment and improvise, and it turns out pretty good. Although, I’m sure I could make a tastier broth if I actually followed a recipe! what does organic mean? I use these bouillons and thought organic ment the ingredients would not contain GMOs. I am confused these labels would have misleading information. It’s complicated. On a single ingredient item, like produce, the “organic” label will mean that the item is not GMO. On a manufactured food product, like this, they can say they’re “organic” even though only 95% of the ingredients are organic. Furthermore, these food products can claim they’re “made with organic ingredients” if 70% or more of the ingredients are organic. Thanks for this! The company’s website (superiortouch dot com) claims their organic products are GMO free. They don’t mention MSG. April Miles Thornton — Yes, Shelley asked about the Organic Chicken Base version in one of the earlier post comments. You can read my response to her to see how that particular version measures up. 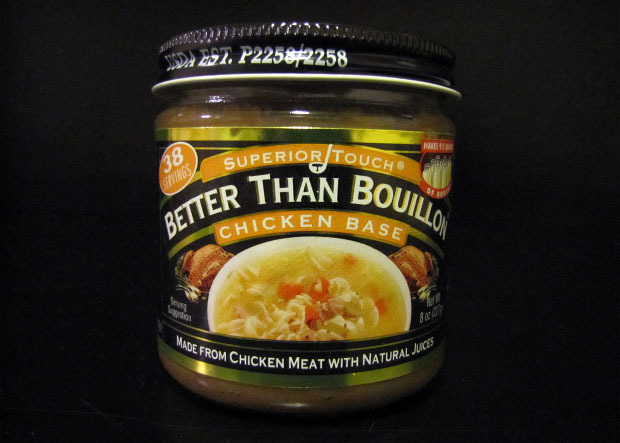 There are a lot of versions of the Better Than Bouillon available (in chicken, beef, lobster, ham, and various veggie varieties, plus organic, non-organic, fat-free, low-sodium, etc.). To review them all would be impractical. I linked to the one I actually reviewed within the post itself, and you’ll find that it’s the regular chicken version. You’re right that the pic is for the organic version, but that’s because it was the only pic of these products that I could casually use that was large enough for my post. Hope that helps! This is SO disappointing! I’ve used the Organic Veg Bouillon for years. The only ingredient that concerned me was the Maltodextrin not thinking about the GMO factor. You say that Autolyzed Yeast Extract has MSG? This is very unsettling as I’ve recommended this in my recipes. I’m going to contact the company and see what they say. Well, according to Kim above, all their Organic label products are GMO-free. So, that’s a relief. But, it is also true that *all* autolyzed yeast extract has free glutamic acids (MSG) in it. OK, just shot off an email to the company and asked for a response . . .
I’m not sure what they could say. After all, the process by which autolyzed yeast extract is made always produces free glutamic acid. It’s just the nature of the beast. Technically, it’s not the ingredient “monosodium glutamate,” so it’s perfectly legal for them to say “No MSG added” on their label. For more on the hidden sources of MSG, read this handout produced by the Truth In Labeling Campaign. I only eat things with one ingredient. Fresh vegetables contain, well you get the picture. Eat nothing from a box or package that will last more than a week on the shelf. It’s not food. Shop the perimeters of the supermarket and better still, shop at Farmers Markets. How do we get people to read lables? How do we learn to understand what we are reading? It’s really flexible and you can create different versions based on what you have on hand or what’s coming up in the garden, etc. For instance, you could make this using just onion, carrot and celery (classic mirepoix) and add thyme, sage, savory, rosemary (bouquet garni) for a classic French cooking flavour base. This is a fabulous idea… I thought for the last 2 years that I was already label Nazi, but I had been fooled..after reading up on your site I am thoroughly mistaken & am changing everything item, by item!! Please do continue Label decoding- First, the Agave Nectar got me, and now all these other things. I just checked my last pack of shredded cheese, there it was, ” cellulose” UGH. Gross I don’t want anything processed using chemicals… thank you very much for all the info & research you do!!! They say that putting a piece of seaweed in your pot will enhance flavor in the way MSG does. Nutritional Yeast Extract, Sea Salt, Carrots, Onions, Turmeric Root, Leek, Parsley, Nutmeg, Garlic, Lovage, Celery, Pepper, Balm, Dill, Paprika. Andrea — According to the folks at Truth In Labeling, nutritional yeast extract *always* contains processed free glutamic acids (MSG). Good post. Thanks. Condiments and products like BTB are some of the toughest areas to eliminate bad ingredients. I occasionally use BTB organic beef version in a recipe. Unfortunately the deep flavor is hard to beat and replace, although I will continue to look for alternatives and update the few recipes it goes into. There is a good app from the Center for Public Science (CSPI) I have on my iPHone called Chemical Cuisine. Very helpful for looking up ingredients in labels when you are shopping. It’s free on their site. The ingredient list on my jar is very differnt to the one in the article. It is a ‘vegetable base’- suitable for vegans. Should I be concerned? Great post, most people don’t realize when they pick their chickens either when it says “no added hormones”. People think it means no hormones at all, when it just means no hormones were added after the processing, very deceptive. Just like “all natural”, hello… wood is all natural aka cellulose! By U.S. law, no hormones are used in the raising of chickens, other fowl, and hogs. I mean, sure, they’re animals who sexually mature, so there are naturally-occuring hormones, but no added hormones whatsoever. Thanks. I had no idea something labeled organic could contain MSG. I bouught this a few weeks ago and got a terrible headache after the first use and threw it away. I know something was wrong. This is an eye opener. Have you tried Vogue Cuising Flavored Base? Chicken Meat and Natural Juices (organic), Salt, Cane Sugar (organic), Maltodextrin (organic), Natural Flavor, Dried Onion (organic), Potato Starch (organic), Dried Garlic (organic), Tumeric (organic), and Spice Extractives. Why such different ingredients?? Mine doesn’t sound as bad as the one you reviewed. No. You don’t have this product. You have their organic chicken base. I decoded it for a reader in one of the above comments. Yes, you may read my reply to Shelley above, when she submitted the ingredients to the Organic Better Than Bullion Chicken. Please note, this post is not about the organic chicken base, but the regular chicken base I linked to in the post. Better Than Bullion has many varieties of base — for many types of meat, seafood, and veggies and in combinations of low-fat, low-sodium, organic and non organic. I could only write the post about a single variety, so I chose perhaps the most used one — the regular chicken. I found a new version of Better than Bouillon with “Organic” stamped on the label. Is this any better? Read all the comments and you’ll see. Awesome article! Thank you. I have two questions. How about Squid/Prawn brand fish sauce, does it contain MSG? The ingredients are Anchovy Extract, Salt, and Sugar. It seems ok, but I have read that the extraction process may use MSG. As I understand it, from reading about Dr Russel Blaylock, the real problem with MSG, is that it is a glutamic acid and becomes an Excitotoxin in our bodies. It may be the cause of Alzheimer’s, Dementia, and Parkensons. This is serious. So, many items and processes in cooking contain and or release naturally occuring glutimates. Are naturally occurring glutimates bad like MSG? Thanks again, your willingness to share your knowledge is greatly appreciated. VERY good article! This has been my go to soup base brand for years and now I know that it’s got junk in it I’ll have to look elsewhere for a product that doesn’t contain poison! That’s too bad too because I really like the flavor of these bases….Thanks again! Ugh, and I sooooo loved this crap. What a disappointment….sigh….I thought it was the real deal….bummer. I am from a family with multiple food allergies. Last year, after reading a laundry list of symptoms for gluten intolerance that were ALL mine as well, I started trying to go gluten free. What a chore! I have read labels until I am blue in the face. As for chicken, try finding a package of run-of-the-mill fresh or frozen that doesn’t list “with chicken broth” or some similar statement. Who knows what is really in that ‘broth’? I have been leery of MSG for decades, and am appalled that a friend still makes their ‘signature salad’ with a very heavy sprinkling of Accent, which is pure MSG, and boiled eggs. With a newly diagnosed egg allergy as well, no wonder I used to always get sick after eating with them! I thought it was drinking too much wine, LOL! Ours says Non – gmo and organic. Doesn’t make sense to have these labels and contain GMO and I ingredients not organic. It says no ADDED MSG and I always buy the organic which doesn’t contsin MSG at all that I’m aware of. i use Better than Bouillon,anyway. Some things are just worth the pho pas (sp)! You ought to research their product “organic” better than bouillon chicken base. This stuff is too good to be true. I make a huge vegetable concoction (tons of diced vegetables, spices, chicken broth) it tastes OK. I add this stuff and it tastes amazing!! This Organic Chicken Base is too good to be true. Of course it has salt and sugar, but the shady ingredients are organic “flavoring”, organic “natural flavoring.” SO it not only lists natural flavoring as an ingredient, but also flavoring as a separate specific ingredient. Organic natural flavoring could be anything, and organic flavoring could be anything. A spoonful of this made my huge vegetable concoction go from OK to amazing. I don’t trust this stuff one bit. Please investigate what is in their organic version of Better than Bouillon Chicken Base!!!!!! I don’t trust this stuff for a second. I was just looking this stuff up, funny I found your page and it’s exactly what you are talking about today. I bought the organic better than Bouillon and I was concerned because my label says yeast extract. It has that USDA organic label, and I was concerned that yeast extract is another name for MSG. This was a vegetable base. What about the organic version of Better than Broth? Thank you. I really wanted to like this product but just couldn’t make myself buy it. It just seemed too suspect. Thank you. I’ve been using this thinking it was all good. I appreciate your research and heads up! Is it possible to ever go overboard on being politically correct with every food ingredient, every form of packaging? Is there a balance that can be reached? Thanks for all your hard work in keeping us healthy. bone broth is the easiest part of my whole food lifestyle. If you eat chicken roast, then throw the carcass in a slow cooker and then instead of jaring it up or freezing, make a batch of soup or beans or chili. done. all part of the process. I tossed the bouillon cubes and stopped using store bought broth about 5 years ago. When I make a roast I always cool the pan drippings and separate the grease and pour it into ice cube trays. Same with homemade chicken broth. I usually make a meal at the same time I make them and they are very convenient. I say to Jim who wrote back in Nov of last year. Is a little bit of poop in your brownies ok with you? It’s just a teeny little bit, so why the fuss? Most of us know that all it takes, in some cases, is a miniscule amount of a drug/plant/ingredient, for instance, to do serious damage and in certain cases an almost microscopic amount can cause death. Small amounts matter when they are going INTO my body! While you may not have an immediate reaction to some of these things, they can do damage over time. Oftentimes these things don’t show up in our health as problems until we are in our 40’s or 50’s. Argh! Bummer! Thanks though for the analysis!!! I was just wondering what the problem was again with those bouillion cubes of my childhood – Google said salt and MSG. So it’s frustrating that Better Than Bouillion is playing not-so-cute games with semantics – no MSG technically, but really we know we’re lying. Argh. But good to know! Any concerns with those boxes of broth? I am also bothered about the addition of sugar into almost everything. Some things are not supposed to taste sweet. Check out frozen salmon for instance (OK, maybe add it for Gravlax). I even bought a gallon of 1% milk once and after tasting it…sweetened condensed milk right there on the label I check my milk labels now. I do not see any of the questionable ingredients you list on the current jars of BthanB broth bases. Have they changed or have you gotten info that is not on the label? Thank you for your evaluation of this. I was looking at bouillon as a means of replenishing my salts while on low carb so I don’t feel washed out. Still looking for a viable option. Even though your post on Better Than Bouillon is several years old, I thought you might like to know that now in late 2016, things are even worse. My wife has been using BTB for several years, but just ran out. I decided to try buying some online and have now discovered that the product we have been using (we buy by the case) is extinct. BTB Organic, Reduced sodium. Vegetable Base in a 16 oz jar has been replaced by a similar product in 8 oz jar with added canola oil, gluten, and higher sodium! I sent an email to the company to express my disappointment, but suggesting that they were the poster child for companies that screw up a good product just to make an extra buck will probably not win me any free coupons for more of their inedible products. Full disclosure dictates that the formerly good product that we have been using did contain maltodextrin, so maybe it wasn’t so healthy, after all. But other than that, it did seem pretty safe. Then again, no prepared food is ever really safe. so what is a good option for bouillon? I make soup, beans, and adding bouillon gives it some added flavor. I have not researched as much as I should, but I really thought better than bouillon was better. I try to stay away from high fructose corn syrup. it seems like they just keep slipping us what ever they want. I get so tired of trying find what they hide. While I appreciate the content of this article, the alternative of making my own broth is a bit ridiculous. If I had time to do that, I would already be doing it! What about the All Natural BTB? It doesn’t list the corn syrup solids or hydrolized anything… Really trying to get to natural, but still have some of this left in the pantry. Plus, of course, the kids like it better than my home made broth. How do these compare to the boxes of broth/stock? I usually get the ones from Costco… Thanks for your advice! Thank you so much for this article!!!!!! I cannot have MSG or gluten and reading labels has become a part of my life. Every once in a while I’ll miss something and I’ll pay for it dearly. It helps to have people who are willing to share their knowledge. Thank you, again! Keep up the great work!! I am soon to be a Sassy 64!! Just a number. Heart attude and attitude. I have been sick this year along with some toxic food inhancers… MSG an old one original name Accent!!! Chinese food is famous for it!! Both my husband and I are lable readers, makes a quick run to the market an interesting adventure! I look forward to hearing and hearing from you and about your decoader for us label readers. Every generation needs a few renegades . Thanks for being one in 2018! Everything we eat has been “genetically modified”!! The only thing that changed is the method-done on a microscopic, more precise way in a lab rather than the hit or miss manual hybridizing process. No one would want to eat wild carrots, strawberries, or other produce. Humans have been modifying food for centuries! Also, food is not “healthy” or “unhealthy” , it is “heathful” or “unhealthful”!! I saw the commercials and had better than boullion on my grocery list… figured it would be something worth having in the house. Before I run out I figured Id look up whats actually in it. Your article.was very helpful and perfect. THanks for writing it and your website seems like an invaluable resource. Thank you for this information. My husband recently had quadruple bypass surgery and I’ve had to throw the salt shaker away. I thought maybe better than bouillon would be good to add to food to give a little more flavor but being that it has MSG, which I consider the worst poison on this planet, I would never buy this product. I’ve always been an advocate of getting rid of MSG in our food. I’ve called Knorr soup company and they won’t take it out. Schilling and McCormick and Lowry’s have taken MSG out of their products. I always call the companies when there is MSG in the food and tell them to stop putting it in there. Can you make your product without the corn syrup? Yeast extract is another name for MSG.